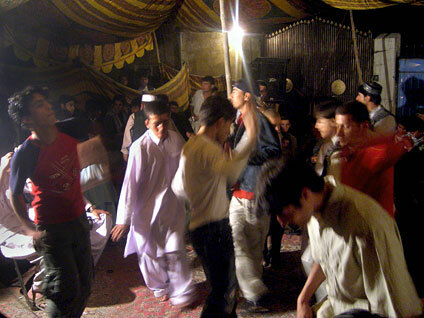 Less than a year after private security contractors in Afghanistan were fired for creating what was described as a "Lord of the Flies" environment at the U.S. embassy, a different security contractor paid for young "dancing boys" to entertain them in the northern part of the country. The incident last summer caused such a scandal that the Afghan government pleaded with U.S. diplomats to intervene with a newspaper article being written about it, the Guardian newspaper of London reported Thursday. The disclosure comes from the trove of secret State Department cables released to a number of news outlets by the document-dumping website WikiLeaks. The Guardian reported that Afghanistan has a long tradition of dressing young boys as girls to dance for men, which sometimes leads to Afghans hanging on to the boys as property. After the boys were hired to dance in June, Afghan Interior Minister Hanif Atmar asked officials to have the U.S. military assume authority over police training centers operated by the Falls Church, Va.-based DynCorp International. The diplomats replied that it lacked the legal authority to do so. A Washington Post article in July reported DynCorp workers "hired a teenage boy to perform a tribal dance at a company farewell party" in the northern province of Kunduz. This incident isn't the first time the behavior of security contractors has caused headaches for U.S. diplomats in Afghanistan. In September 2009, the State Department fired eight security guards at the U.S. embassy from the security contractor ArmorGroup North America for what a watchdog group described as a "Lord of the Flies" environment at the guards' living quarters. Allegations included lewd behavior and sexual misconduct. Cyberwar over WikiLeaks a Sign of the Future?